In a Word, my interactive installation for CulturalDC's Mobile Art Gallery (June/July 2018), invited participants to consider perceptions of Washington, DC from a variety of perspectives. The project began with a survey that asked over 300 people around the country to answer the question: “What one word would you use to describe Washington, DC?” (See map below for recorded US submission zip codes). 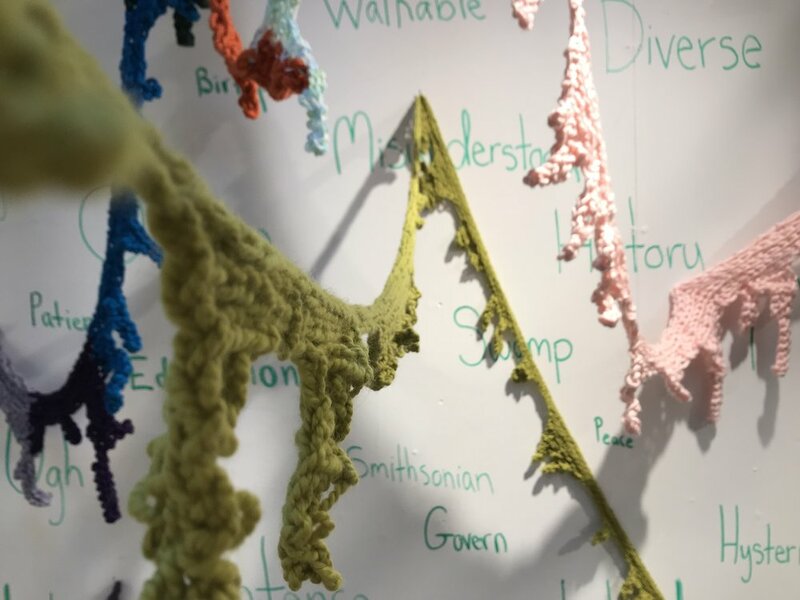 Using Morse code as a basis for a pattern, I gave these words a tangible presence by knitting the answers into a web-like maze of thread that visitors navigate upon entering the space. In this way, participants must confront and physically acknowledge preconceived notions about the space and city they are currently inhabiting. Once inside, visitors shared their own words describing Truxton Circle (the neighborhood in which the gallery resided), which I gathered weekly to create a second Morse code piece that grew as the exhibition progressed. The installation compares and contrasts perceptions of DC—how they do and do not line up from internal and external vantage points—and invites consideration of how an individual neighborhood or community impacts the overall perception of a region. 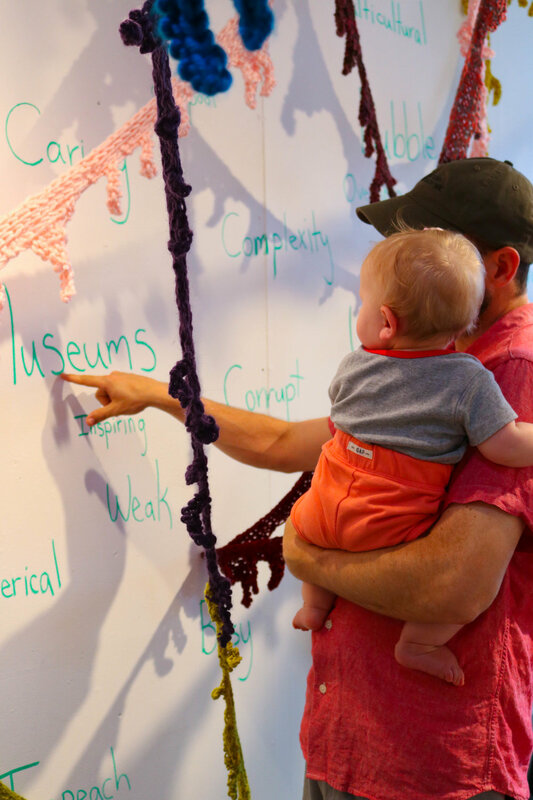 Related events included two artist-led workshops, live knitting sessions, and a community kick-off event.